Our friends over at VideoCardz have shown off today an Aero ITX Card based on the Nvidia GeForce RTX 2070, which as far as I’m aware is the first and only ITX form factor GPU using Nvidia’s Turing architecture. 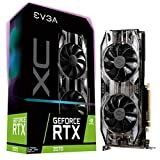 This is aimed at those seeking a small form factor build and is the smallest RTX card available. Two big admissions on the card is the lack of an NVLink Connector which is to be expected since space is at a premium and small form factor builds can’t do dual GPU anyways which makes this a non-issue unless you really like small cards in full size builds for whatever reason. The card also lacks VirtualLink for VR, this can be an issue in the future with DisplayLink compliant Displays or VR headsets, though not many such devices exist now so it is not a problem right now. For the display outputs, you get three DisplayPort connections and a single HDMI 2.0 connection which is less than a Founders Edition card, though again this is another drawback when selecting an ITX sized card. Finally the card comes out of the box without a factory overclock sitting at stock which seems like a good idea considering it using a single imbeller fan and has to deal with the 175w of power that the standard card uses. All in all we’re pretty excited to see more varieties in Nvidia’s newest RTX lineup of graphics cards and would like to know what you think, so let us know down in the comments. 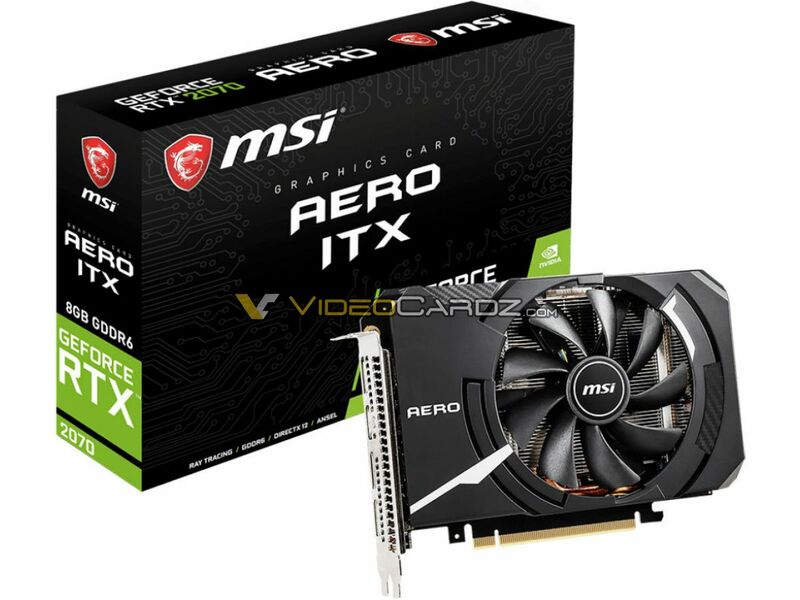 At the time of writing the pricing and release date of the MSI Nvidia RTX 2070 Aero ITX is not available though we would expect it to sit on the lower end of pricing due to the smaller PCB and the lack of a factory overclock.